Buy a collection of books, magazines, novels and other literary works and read them on a regular basis. In addition, read newspapers daily and grasp what is happening around you. It is a time to review skills and test your technique. Never fixate on one word at a time. This will decrease your reading speed. Try to fixate on four to five words at a time. It has been noticed that students fail to complete the test in the given period of time. To avoid such situation, it is advised to work on the aspect of “Time Management” from the beginning itself. Set a stop watch with you and know your speed. Check your word count after every session. Take some time out of your busy schedule and ensure that you have sufficient time for preparation. Never rush for anything as it would make the situation worse. Ensure a proper coordination between your eyes and mind. Minimize the movement of your lips as much as you can. While reading, begin by going quickly and try to identify the topic, style and connection between the paragraphs. As you read, do not try to understand the meaning of all the words, otherwise it will decrease your reading speed and waste your time. Keep a dictionary in hand with you. A wiser option would be to jot down the difficult words, understand their meanings along with knowing their origin at the same time. You can allot a separate session for this purpose. If at any time, you think that you have lost your interest in reading, take a break and then start a fresh session. These are a few healthy IELTS preparation tips from our side. Stay tuned for more on IELTS Writing and Speaking Modules. Remember that appearing in an IELTS test and getting a good score is a pre-requisite for immigration to all immigration destinations. 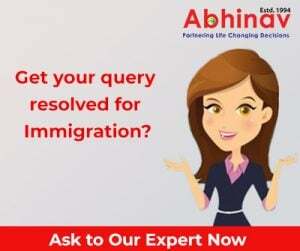 So you will do well to meet an expert Immigration and Visa specialist and smoothen your immigration application process. Best of luck for your IELTS test! Improve Language Skills; Improve Your Chances in Canada!